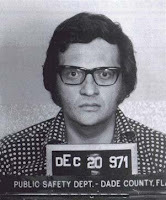 the nytpicker: NYT Clarifies: Larry King, CNN Talk Show Host, Not Currently In Rikers For Eight-Month Drug Posession Rap.
" U R incompetent, the writing is all around flawed "
"Madonna!" (not the popular singer) cried the priest, when the refrigerator that had fallen from the fifth floor nearly crushed him to death on the pavement outside a Naples butcher shop.